Security experts have continually voiced concern over the increased threat hackers pose to chemical companies. Given that computers now control most of the equipment in chemical plants, risk of an attack – both from insiders and outsiders – is now very high. Results from compromise could include spills of materials, compromised controls, leaks of secret recipes and serious physical damage. Chemical companies are taking a more proactive approach to securing their critical data. Systems that are connected to the Internet or the corporate network, and information that is shared with suppliers and partners requires an additional layer of data protection. Increased authentication and authorization processes are necessary, and more real time controls need to be implemented to prevent threats from turning into incidents. Several regional and international initiatives have been strengthened to address safety and security concerns and mitigate risks. These include the Strategic Approach to International Chemicals Management (SAICM), the Environmental Protection Agency (EPA) of the US, and REACH in Europe (Registration, Evaluation and Authorization and Restriction of Chemicals). Controls for internal and external information flow to avoid communication and collaboration that results in improper sharing or disclosure of secret recipes, other IP, customer or project information, or other sensitive data. Insurance that only people associated with a particular product and have the proper qualifications gain access to relevant sensitive information. Fine-grained policies to ensure only authorized users can share specific information with suppliers and partners. Automated controls to enforce regulatory compliance in order to prevent violations. Consolidated reports on access activity to all sensitive data across the enterprise, highlighting access risks and unusual patterns of behavior. Limit the sharing of R&D project details, preliminary product test results, and secret formulas and recipes only with those who are required to use that data. 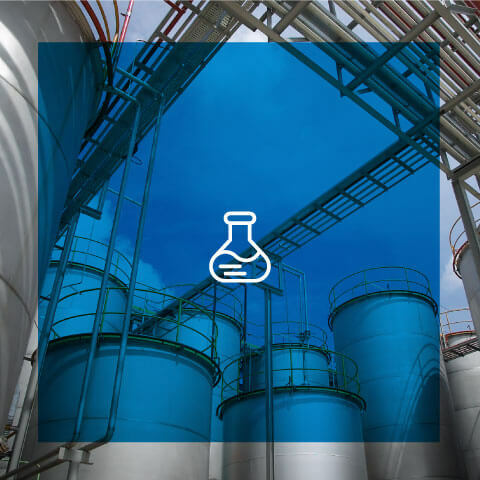 Prevent users from distributing chemical product files outside of the customer’s project team (including local design teams and extended partner teams). Allow project files to be saved only on a customer’s or product line’s encrypted file server directories and portal sites. Allow product files to be emailed only to recipients who are part of a specific project, whether inside or outside the enterprise. When products or projects are completed, automatically archive project files, and adjust data access rights of project team members appropriately. Simplify the task of meeting complex and sometimes overlapping regulatory compliance requirements at the regional, national, and international levels that may limit the access to and distribution of specific data that is created, managed, shared, and stored across the enterprise. Generate fully transparent compliance reports that demonstrate compliance with all applicable regulations. Data is protected when it is inside of the application and after it leaves the application and is being shared. Protection persists throughout the lifecycle of the data. Centralized visibility enables organizations to prevent unintended sharing of data and maintain comprehensive reporting for audit and compliance purposes. Allows only approved personnel to copy, print, and download customer intellectual property; data is automatically encrypted. This whitepaper addresses the ways you can utilize Digital Rights Management (DRM) to secure, track, and control your most valuable assets. Companies can now protect IP by ensuring safe and appropriate data access, use, and disclosure during PLM. Read why Cytec Industries chose NextLabs to modernize its document collaboration system with controls and audits to prevent deemed export of technical data.